It’s so nice to have a finish! It’s tricky to find time for my sewing with all the end of the school year/beginning of summer events and the demands of the garden which can be very appealing after a long winter. 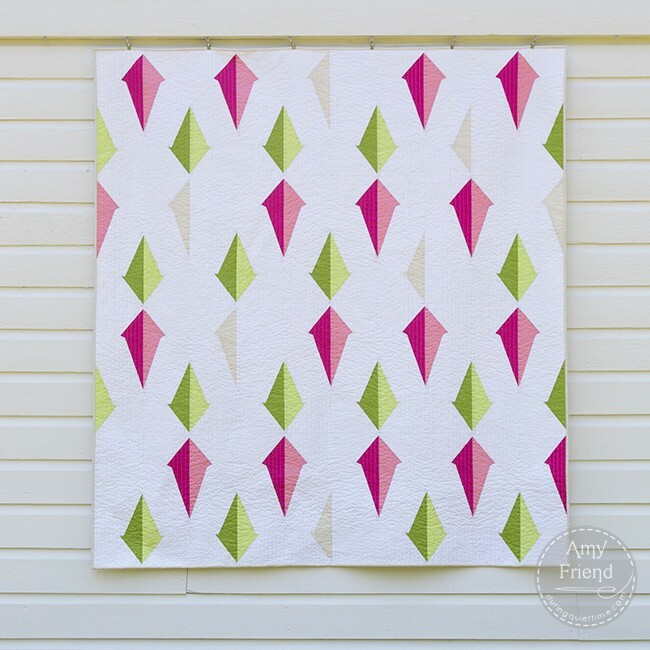 I am naming this quilt Plumb Line, a suggestion made by @turquoiseprism on Instagram. The name describes the shape so well! The pattern is block based and paper pieced from a template of my own design. I enjoyed working on this layout and playing with the placement of light and dark solids. However, the turning point for me came when I removed some of the shapes from my layout to incorporate negative space. I wasn’t satisfied so I reintroduced of half, or one side, of the shapes I had just removed from my design. The half shapes represent the darker sides and then the light side becomes part of the negative space or background. Once I made that decision while playing around with the design digitally, I was happy and felt that I had hit upon a successful layout! I like the simplicity of the design and the clean lines. 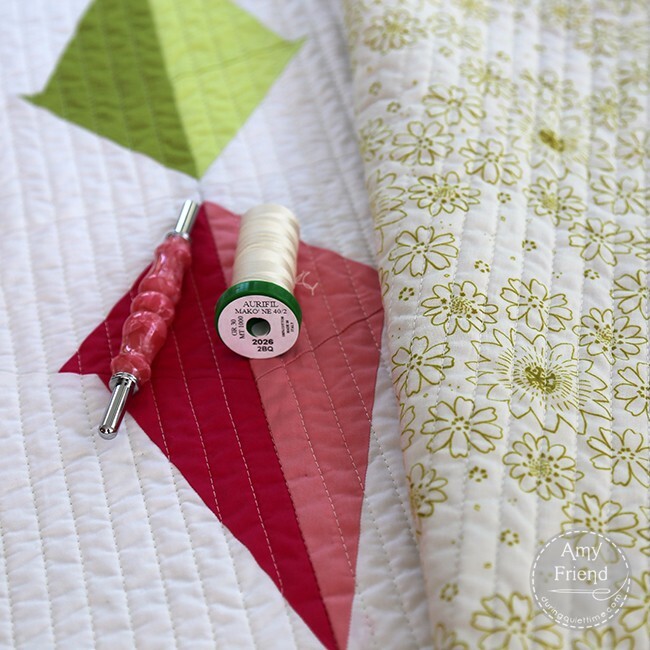 I decided to make my quilting simple, accordingly. I used an off white color Aurifil thread that was a little darker than the background but wasn’t too stark against the colorful shapes. My lines are spaced 1/2″ apart. The finished quilt measures 60″ x 64″. 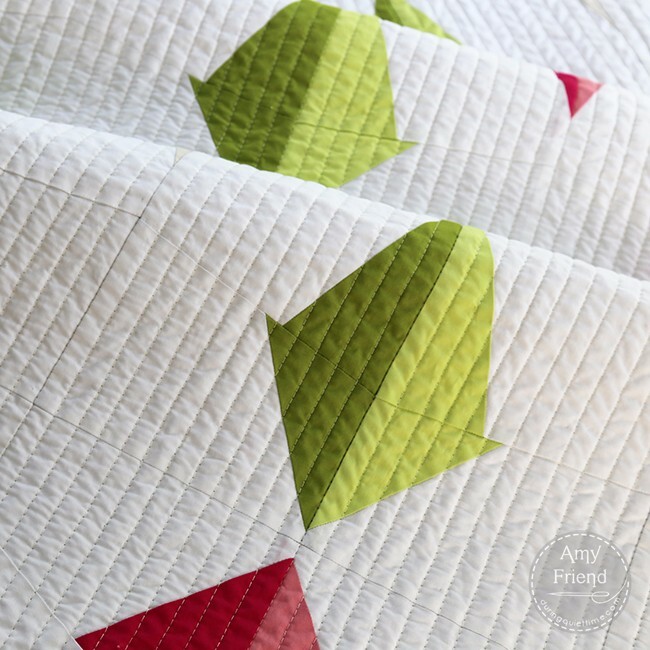 It is pieced with Art Gallery Pure Elements, quilted with Aurifil 40 weight thread and backed with Cotton + Steel Posy Leaf from the Paper Bandana collection.